Most popular choice for a hand glaze. 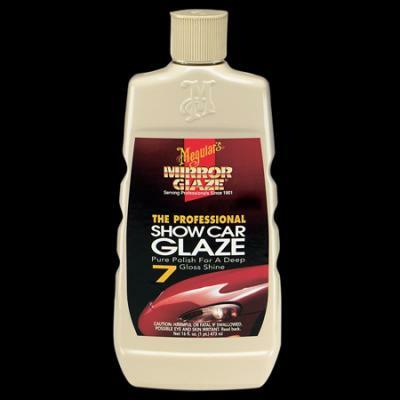 This product is a pure glaze that restores a deep, wet shine. A little moisture in the applicator helps you spread one or several thin layers. Apply by HAND or orbital machine with a microfiber bonnet. Follow with a protectant like M26, Hi Tech Yellow Wax or M21, Synthetic Sealant polymer protectant (my favorite!). For a faster drying material in humid conditions select M05, New Car Glaze. The Doctor recommends that you always glaze before you wax for a healthy paint and the best finish.